A record 1,072,066 visitors from domestic and key international markets stayed in Ras Al Khaimah during 2018, according to figures released by the emirate’s tourism development authority RAKTDA. The authority reported a 10 per cent growth in visitors compared to 2017, led by the UAE domestic market that continues to generate 38 per cent of overall visitors. Germany continues to be the leading international source market with 83,605 visitors, followed by Russia, with 83,531 visitors – up by a significant 17 per cent on 2017. The third largest international source market was the UK, with 63,054 visitors, up 11.5 per cent; India was fourth with 62,325 visitors, up 22 per cent; rounding out the top five was Kazakhstan with 27,168 visitors, a growth of 28 per cent. RAKTDA launched its first three-year destination strategy in 2016 outlining the vision and mission for tourism in the emirate, with the goal of attracting one million visitors to Ras Al Khaimah by 2018 now exceeded. One of Ras Al Khaimah’s key milestones in 2018 was the launch of Jebel Jais Flight – The World’s Longest Zipline, which has welcomed more than 25,000 flyers since opening 12 months ago. The attraction helped put Ras Al Khaimah on the map, breaking a Guinness World Record and strengthening the emirate’s credentials as the fastest-growing adventure tourism destination in the region. The emirate further increased its appeal for daytrippers, staycationers and holidaymakers with the opening of a Viewing Deck Park at the top of Jebel Jais featuring seven viewing decks platforms overlooking the Arabian Gulf. 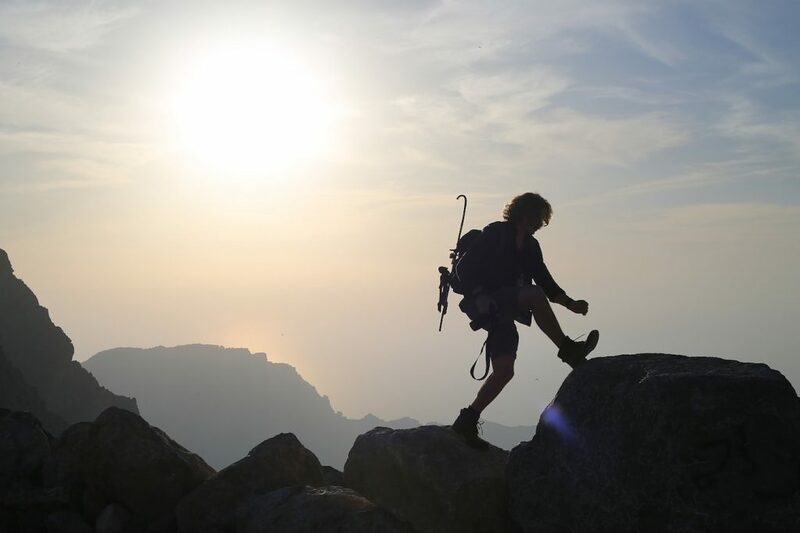 In response to growing visitor numbers, further development is planned, including a 47-room Luxury Mountain Camp, a Survival Training Academy, 64.72km of Hiking Trails and the Jebel Jais Adventure Park in partnership with Toroverde UAE. The park, expected to launch this year, will feature several new adventure products, including the ‘zipline tour’, ‘Bull maze’ and a ‘climbing tower’ at the Viewing Deck Park. Haitham Mattar, RAKTDA’s CEO, said: “2018 has been another remarkable year for the emirate of Ras Al Khaimah in terms of achievements and milestones accomplished, primarily exceeding our target of one million visitors. RAKTDA recently announced the launch of its new Destination Strategy 2019-2021. The strategic three-year programme will focus on diversifying the emirate’s tourism offering to attract a wider segment of tourists and higher yield visitors looking for authentic experiences. “As our tourism offering evolves in Ras Al Khaimah, we must ensure our destination is attractive to travellers who wish to explore beyond the resorts and hotels,” added Mattar. “Through our new destination strategy 2019-2021 we will continue to create compelling offerings that combine the emirate’s key promises – pristine beaches, natural beauty, culture and heritage, excellence in hospitality and unrivalled experiences in order to attract close to 1.5 million visitors by 2021, and three million visitors by 2025”. The new destination strategy will also look to expand tourism-driven employment. By 2021 RAKTDA aims to support the employment of 10,000 more people in the tourism and hospitality sector, nurture investment for small and medium businesses, and raise the overall competitiveness of the industry by attracting increased international and local investment enabling an environment for sustainable growth. Ras Al Khaimah has also identified the supply of new hotel rooms as a major focus – the emirate is preparing to add 5,000 rooms to the 6,500 currently available with the confirmed introduction of major global brands including Marriott, Mövenpick, Sheraton, Anantara, Rezidor, Intercontinental and Conrad over the next three years.